The user ( agent/customer ) can edit their own profile directly from the UVdesk Portal. By editing the profile, one can keep update information about themselves. 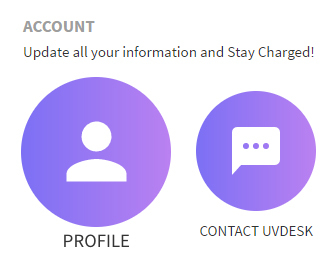 On the Dashboard, you will see "ACCOUNT" menu and under it, you will find "Profile". Click on the "Profile" Icon and then you will be redirected to a new page. You will see four tabs namely- Edit Profile, Activity Notifications, API Access Tokens. 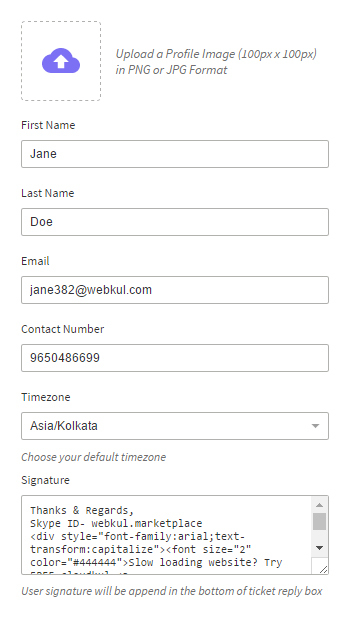 In the "Edit Profile", enter First Name, Last Name, Email, Contact Number, Select Time zone, enter Signature & password. 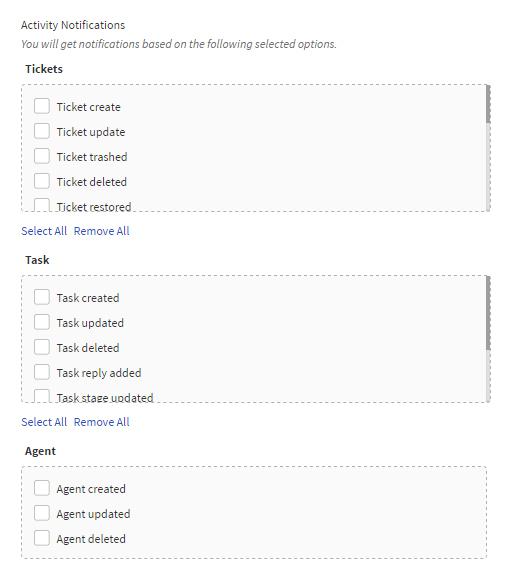 In the "Activity Notifications", select the options from Tickets, Task, Agent & Knowledgebase for which you will get notifications on your UVdesk portal if any activity is made on the selected options. In the "API Access Tokens", you can create an access token for the users. Firstly click on "Add New Token" button, and then a pop-up will open up where the user will enter the Token name. Now, click on the name of the token created and see the token value or the API key. You will also see its expiration date and time along with edit and refresh button.